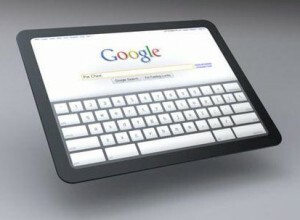 There are expected to be close to 50+ tablet PC mobile devices which will be flooding the consumer market very soon in 2011. These tablet PC devices are quickly becoming the modern day PC, most likely replacing the netbook and competing with the laptop and perhaps even the desktop. The tablet PC when it first hit mainstream with the introduction of the Apple iPad is going to undoubtedly revolutionize the computing world, and 2011 is slated to be year. Although it’s not really surprising that Apple is the market leader in this segment, it’s projected that the market will soon be absolutely bombarded shortly by most of the major consumer electronics manufacturers debuting their own tablets. The majority expected to be using Google’s Android operating system. the much anticipated Motorola Xoom, Research-in-Motion’s (RIM) Blackberry Playbook tablet, and the Galaxy Tab 10.1 by Samsung. Market research and future predictions estimates that by 2014, there will be over 80 million consumers in the United States alone who will be owing or using tablet PCs, compared to just 13 million tablet users in 2010. Experts also predict that there may eventually be too many competing tablet platforms that will be entering the market, along with being too expensive and having poor connectivity issues or options by the wireless carriers. So the path to this so called Post-PC era may experience a few rough spots. Google, Microsoft, HP, RIM and Apple are all vying, competing, falling and tripping over each other to offer you the consumer the best user friendly as well as secure operating system for their mobile devices. Apple and their iOS is obviously the current industry leader and the one to beat because of their head start, as they currently have a firm hold with over 90% percent of the tablet market, this according to mobile market research firms. But there are competitors who are absolutely hot on their heels and should soon surpass Apple because of the iOSs closed exclusivity. Google is currently Apple’s largest rival as their development kitchen has produced an OS which is compatible and working with a variety of tablet manufacturers. The tablet PC friendly Android OS, which is known as Honeycomb or Droid 3.0, made its long anticipated debut in early 2011 exclusively on Motorola’s Xoom tablet. The Android Honeycomb by far is Google’s greatest as well as the most polished interface effort yet. The earlier versions of their Android OS, which was suited more for the smaller smartphones, has been quickly adopted by developers who has created a library of over 175,000 Android Applications to date. So beyond the Apple iPad and Google’s Android 3.0 with the various tablets, there are also several manufactures who are challenging in the market. The most notable being HP with their Touchpad tablet featuring WeboS, and BlackBerry’s Playbook Tablet and their OS. Blackberry is expected to release the Playbook tablet sometime in April 2011, with it’s Operating System expected to support: Adobe Air, Adobe Flash and HTML 5, which is intriguing because this particular tablet may be able to support Web based apps instead of just relying on mobile apps as the others do. What may also be intriguing are the rumors that Blackberry may be working on their OS to be able to run and support Android applications as well. HP’s Touchpad tablet, which is running on the WeboS, is expected to eliminate the line between supporting hosted apps and Cloud based apps. This tablet will also be able to integrate with their line of laptops and desktops, their WeboS smartphones and their printers. HP is hoping that they creating links between all of their devices will give them a competitive edge as they are currently the worlds largest PC manufacturer. One thing’s for certain if you’re planning on purchasing a tablet PC anytime soon, is that choosing the OS driving the device is of paramount importance. For desktop PCs and laptops, there were only two to choose from, either Microsoft or Apple, where the mobile tablet market will initially offer a handful of OS choices. It all comes down to the apps. If the particular tablet OS that you chose does not support or have availability to your favorite or essential apps, or doesn’t have the ability to stream say… NetFlix movies, you’ll most likely not buy it or will be disappointed once you do. So when you’re going out and purchasing a tablet PC in this Post-PC era, it won’t be as easy as just walking into your ‘BigBox’ retailer and then deciding which Windows desktop is offering the best ‘bang for your buck’ deal. Not only will you have to do diligent research on which tablet and operating system to purchase, you will also need to choose the best wireless carrier plan as well, especially for the lower priced models. One example is Dell and their Streak 7 tablet which sells for approximately $200, provided you purchase a two year contract with a mobile carrier. Then there is the 1st generation Samsung Galaxy which was offered for around $250 with a contract or for around $500 without one. The 3G Motorola Xoom tablet PC is expected to be offered for around $800 without a contract, while the Wi-Fi version will be around $600. So despite these growing pains and the virtual bumps on the road with these manufacturers, the expected tablet war is finally beginning. So if you’re planning to jump into the market, it’s advised that you stand back and see where the dust settles first. Unless you decide on the Apple iPad or the variety of Google’s Android based tablets, allow all these other OS’s to initially establish themselves. Keep in mind that the Apple and Android units are more consumer orientated, where the others such as HP, RIM and Dell are more geared towards the business and enterprise crowd.